Artwork for A.C.T. 's M.F.A. Program 2017 Spring Performances. First-year actor Jerrie Johnson agrees. “Spring Reps are special because it’s the only time that all three M.F.A. Program classes are in production at the same time. We spend all year working only with our classmates; we get used to their working styles. But working with the other classes keeps you on your toes as a performer because it is not what you’re accustomed to." 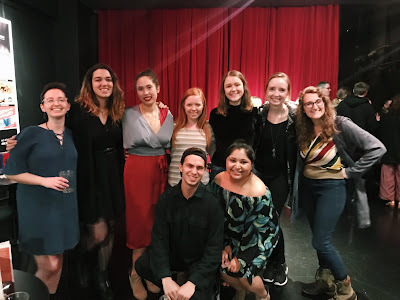 "There is something special about putting on a polished production with actors at different stages of training," says third-year actor Emily Brown. "Speaking as a third-year M.F.A. Program actor, it's really fun to look back and remember where I was in my own development at the end of my first and second years, and to be able to engage with that energy in the rehearsal process. It's also great that these Spring Reps come after our classes have finished. 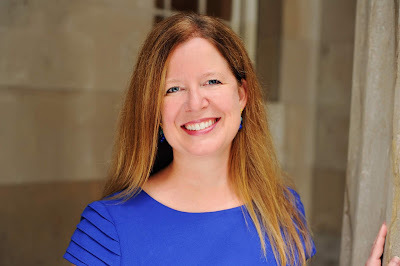 It's great to take a breath, focus on one project for a little while, put on a great show, and move into the summer months with a reminder of why we all started this crazy journey in the first place." 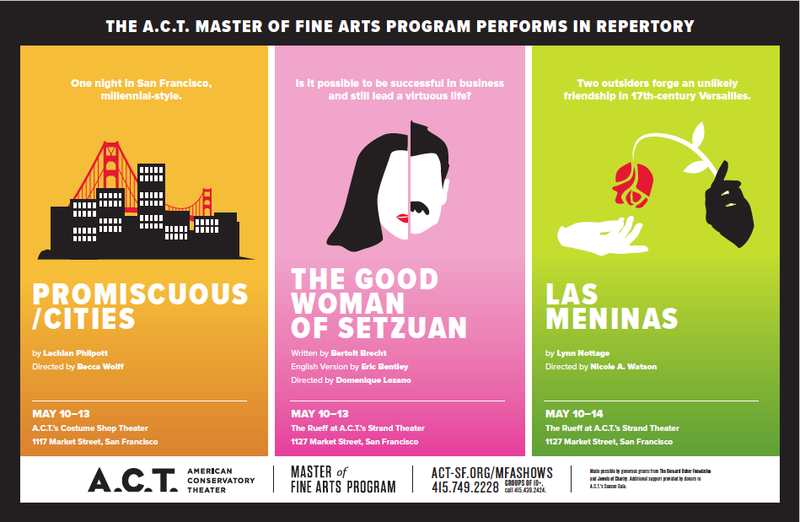 promiscuous/cities, The Good Woman of Setzuan, and Las Meninas run May 10–14 at A.C.T.’s Costume Shop Theater (1117 Market St) and at The Rueff at A.C.T.’s Strand Theater (1127 Market St). Click here to purchase tickets through our website.